Friday night we had a debate on the mayoral campaign arranged by the Arroyo Grande High School AP government class. I am glad our future leaders are aware of and concerned about issues facing our city, state and country. Water is first and foremost on everyone’s mind. At our last council meeting, the fact that the city has only an 18 month supply of water in Lopez Lake together with low groundwater levels was presented along with an array of options. One option is a moratorium on building, something Councilman Tim Brown and I believe should be implemented immediately. My opponent, Richard Waller, is on record that residents should conserve an additional 50 percent so that a moratorium would not be required. I believe the water residents have conserved should be reserved for their own future use, not allocated to additional development. Development should only be allowed to proceed if it is subject to a 150 percent conservation offset – the developer would pay to retrofit existing users, such as commercial dishwashers, residential washing machines and other facilities, so that 50 percent more water would be saved than the proposed project would use. These restrictions should start immediately and continue until the level in Lopez increases enough to carry the city through the start of wastewater recycling. Unfortunately only Councilman Tim Brown and I supported the moratorium. The council majority voted not to start a moratorium until some large developments are given time to be approved. My opponent argumentatively claims desalination is the panacea to our water issues, citing Israeli practice as exemplary. He ignores many important considerations in California, not the least of which is the Coastal Commission that typically opposes ocean intakes and outfalls which are required for desalination, and location of processing facilities in the coastal zone. Richard Waller claims Israel builds desal facilities very cheaply, but in California we do not conscript our labor force. Building desal facilities is very expensive. A recent large scale desal plant in Southern California cost over a billion dollars. Construction is followed by expensive energy-intensive operation. PG&E can use desal at Diablo Canyon because the energy is “house load.” Mr. Waller claimed low cost “even if doubled” in Israel is irrelevant- it is far less than the actual cost in California as a result of regulation and other factors we do not control, and there is no available seawater intake. Our best current alternative, which simultaneously eliminates discharge of partially processed waste water to the ocean, is full advanced treatment recycling. Recycling takes advantage of the primary and secondary processing we already provide and expands that with tertiary and full advanced treatment- meaning we only need to pay for construction of those additional parts of the process to achieve the result. Besides being our least cost and best alternative, it will also provide good paying construction jobs. In Friday night’s debate, my opponent claimed the city is losing staff due to “leadership issues.” He first accused me of presiding over the termination of former city manager Steve Adams, which is obviously untrue as Mr. Adams resigned before my election as mayor. I am on record both before and after the time of his resignation as considering Mr. Adams a skilled and capable city manager. The city council did recently remove the city manager by unanimous vote. Having himself no prior experience in hiring, my opponent claims the council did a poor job in that process, one he naively oversimplifies. In fact the entire council made that appointment very responsibly and worked hard to get it right. Unfortunately, we were seriously misinformed by the recruitment firm and that appointment did not prove a good fit. After nearly a year when endeavors at realignment proved unsuccessful, the council unanimously took the difficult decision to release that person. All of us will redouble our efforts to make the right appointment in the future. We have also lost a small number of staff members to Santa Maria and San Luis Obispo, but it is because those cities are indeed able to pay more and offer either full time positions or additional opportunity for advancement. Arroyo Grande has an excellent staff; it may be smaller with several part time positions and we may never be able to pay quite as much as our larger neighbors, but we still offer a good paying, mutually supportive environment that is a great place to work. Our police department provides exemplary service but has become almost chronically understaffed. Our council has unfortunately not been willing to recognize recent changes in PERS requirements that specifically affect the police, and retention and recruitment incentives offered by neighbor jurisdictions. All of these have impeded our ability to recruit and retain top quality candidates. We have very high standards and cannot afford to lower them. We need to acknowledge those realities and step up our response. Doing nothing is not a viable option. For some time I have pressed for the council to require full cost accounting of city services and projects so that decisions can be made with full awareness of economic impacts. We have recently taken action to require fees for most city services to be recovered at full cost from the applicants. Before that, taxpayers ended up subsidizing applicants in the processes. Full cost recovery will assure the beneficiary of a city service will pay the cost, not the taxpayers. For capital projects, it is important that staff time and expenses be accounted to the project so that the full cost of each project is known. That will allow decisions to be made on complete projects or between competitive projects based on the inclusive cost and relative merits, and will also enable tracking of project milestones with respect to costs for more efficient performance. For example, the prior mayor spent over $3 million to date on the Brisco interchange with little to show but failed designs. Proper review of costs during that process would have indicated problems with the concepts. I instigated the current temporary ramp closure which demonstrates the low cost build alternative will alleviate the congestion at Brisco and successfully worked to preserve SLOCOG funding commitments for the project. My opponent seems to think there are no problems with parking and traffic congestion in Arroyo Grande. I have long pressed to revise our parking requirements for new development to prevent parking problems before they arise. Adequate parking simply can’t be provided after the fact. Unfortunately a number of previous projects, both commercial and residential, were under-parked and cause intractable problems going forward. The council has finally agreed, and I am looking forward to seeing the revised standards. For businesses in the Village, proposals have been made to limit parking to two or three hours. If that were to be enforced, it would take dedicated staff that would cost money for salary and benefits. A business assessment could be established to pay for that, but many of our businesses could not afford it. Neither does it seem fair for taxpayers to cover that. The best solution is good neighbor actions with employees parking in the outer sections of area parking lots and everyone being respectful of others. Traffic congestion here is a fact caused by growth and physical constraints. Growth on the mesa has increased traffic in the Halcyon corridor. Growth on the east side of the city increases traffic through the Village which is constrained by our topography of creek and hillsides resulting in congestion. We need a grocery store on the east side of the city so residents don’t have to make two-way trips on average twice a week through the Village to get basic necessities. Redirecting those trips would significantly reduce traffic and congestion through the Village and at Grand Avenue, Branch Street and Traffic Way and would be a welcome development opportunity. We were asked about taxpayer-funded health insurance for council members. I do not take city paid insurance. I believe city office is essentially a voluntary position; we are paid a modest stipend and should not look to have other expenses paid by taxpayers. Council members who work or whose spouses work, and those who are retired usually have other coverage. Mr. Waller indicated city paid insurance provides an incentive for lower income individuals such as himself to run for office. I am glad for the support of the community in my re-election campaign and ask for your vote Nov. 8. I’m available at 805-481-5654 to discuss issues and answer questions. 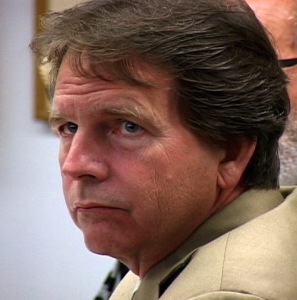 RICHARD WALLER DOES NOT HAVE THE TEMPERAMENT TO BE MAYOR OF ANY CITY. Arroyo Grande needs a council who do their homework, are willing to question, and not develop friendships with developers, staff and other crooked politicians (ie ADAM Hill). 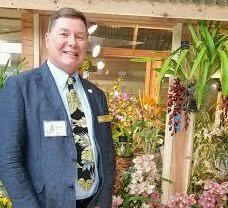 Richard Waller’s vision is to restore what he imagines to be problems of lacked civility and open communications on the City Council. Most Council observers believe these problems do not exist, that Waller is exaggerating for political reasons. What is the evidence of this? Waller’s condemnation of respected Mayor Jim Hill is immodestly stated in his flier mailed to the citizens and is repeated in his speeches and interviews. While Waller alleges in the flier that he is not a politician Waller certainly becomes one in criticizing present Mayor Jim Hill. It is though his intent is to turn a lie into truth. This denigration is an example of the worst tactics in politics, to make false allegations, distorting the truth, with the intention to furtherr a political advantage. Citizens of Arroyo Grande will be best served by the reelection of Mayor Jim Hill along with the elections of John Mack and LeAnn Akins. These are solid very people. 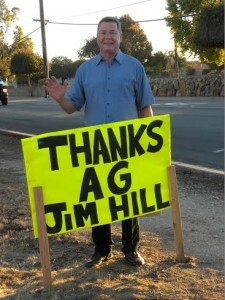 Thank you Mr. Hill for your integrity and clarity on issues critical to preserving the character and quality of life for Arroyo Grande residents. We need your strong vision, now more than ever, because it is very clear your opponent doesn’t have any idea what’s going on. He appears to be running entirely for self enrichment. WATER is the main issue. TRAFFIC CONGESTION is another huge issue. Arroyo Grande needs your leadership and the city council to come together to solve these issues. I wish you success on November 8. I would just like to say that your actions and words give me hope for my family, my neighbors, our community. As a public servant, you are placed in a position of trust and integrity. We are trusting you with our water, our public safety, keeping our beautiful community functional and a great place to live. Thank you for recognizing this, and for advocating for us. Many of us sacrifice to be able to stay and live in this community. We stay for the beauty, the “lifestyle”. I am sad to see that some in positions of power do not appreciate this face and are catering to the whims of developers who are chipping away at the charm of the area, for no real economical gains to anyone other than themselves. Please keep fighting the good fight! Gee, and he is able to do all of this while remaining “civil”. Imagine that! Thank you Mayor Hill…looking forward to another two years of your leadership and sensibility. Look, here’s the deal…much like Theodore Roosevelt’s thinking, Jim speaks softly AND carries a big stick. His intellectual forethought and decisive actions make the city what it is. Jim’s calm, concise, and well thought out approaches to the various issues facing our City is the reason I voted for him before, and why I have his sign in my yard now. Good Luck Jim, and keep up the great job you are doing on our City’s behalf. Kristen Barniech gets insurance for herself, her battalion chief ( Santa Maria) and 2 children at a cost of appx $1,500.00 a month. The insurance includes medical, dental and vision, that we the people pay for. With Obamacare why does she not insure her family herself, or through her husband, why on the backs of the residents? Jim Guthrie retired, he takes the insurance for his wife and himself, Barbara Harmon retired from the probation dept takes the city insurance, Jim Hill, and Tim Brown do not take it. Where is the level playing field? why not increase the stipends they get and removed the insurance? These people show up for 2 council meetings a month and get insurance for a family of 4, WOW! The city does not give insurance to any other part-time, temporary employees, why the ones we vote into office? I wonder if Kristen is willing to give up her insurance and just have the stipend equal among all the council members? I doubt it. Here’s a question – how much do the residents of Santa Barbara pay for Barneich’s husband to NOT take the insurance benefit? The benefit the city of Arroyo Grande residents pay for her TO take? Sounds like double-dipping of taxpayer funds to me. double dipping, it’s the public sector way. Where else are you paid to not take a benefit? Never have I had one of my private sector companies pay me if I don’t take the insurance offered. Insurance is just that an offer that I can take or not and if not that’s it, but not in the public sector. I was wondering how she/they can afford their $770,000 home in AG. How does Barneich get away with only paying $2,662.26 a year in property taxes with a valuation of $770,000. Shouldn’t it be more like $9,240 a year? Doesn’t pass the smell test to me. Don’t know about Barneich, but C Ray’s house is listed as “historic” and gets a tax break. You …. everyone needs to drive by Rays house and see the additions. Where did all the money come from? Take a close look ….. makes you wonder how she got the permit in the first place. Yes, I agree. You should see it. It is very well done and beautifully compliments the historic property as well as fitting into the neighborhood. Most people buy homes and do additions by working, saving, and getting loans. I have walked by many weekends and had seen Ray and her boyfriend laboring on the addition. Working hard to improve your property is admirable in my opinion. The theme of this article is supposed to be facts, so let’s fact check the post above. 1. No, Ms Ray had nothing to do with the development’s approval. It occurred before she was volunteering her time at the city. 2. No, having walked through the old home, it had not been remodeled in decades. It sat unoccupied for years until the recent sale. 3. Yes, her boyfriend was on planning commission at the time the house was officially put on the historic roles but he had nothing to do with approval or voted on it as this was a requirement of the tracts conditions of approval 8 years earlier. 4. The Mills Act is a very complex program that allows for property tax offsets for maintenance to historic structures. The amount of offset is through complex calculations and requires a equal or greater investment in maintaining the historic elements. On top of that, you give up a lot of control of what you do to your home, allowing government to dictate it. It is not automatic in any way and requires layers of approval. 5.To date, on one in Arroyo Grande including Ms Ray, ihas applied to the Mills Act. A little time on the internet and city website verifies all this. On fiction to manipulate opinion. I think you are allowed to transfer you tax base one time, so when she sold her home on Canyon Way she moved her taxes to this home is what I think. She does not want to pay for anything she does not have to, but she expects the rest of the residents to dig into their pockets. Battalion Chiefs make good money. They get their base salary, TONS of overtime, they get mileage, they can “cash out” their benefits each month, pocketing the equivalent to the money CALPERS pays toward contribution of other’s insurance because CALPERS sees it as cost savings. Kristen’s home may be valued at $770k, but they may not have PAID that much. The property taxes are based on 1.2% of the original PURCHASE price of the home last I asked. So if Kristen or her parents (who are both now retired realtors) bought that home when home prices were “normal people” level, THAT is the tax rate. The above “stuff” doesn’t really bother me personally as a “normal person”. I had a CRAPPY paying job in the past, and I cashed out my benefits to offset the pay. In CEO world, they call that a “benefit package”. It is your entire salary offer, and it is totally legal. I’m not going to fault people for doing one of the FEW things they are legally allowed. In addition, if you all want to go after Kristen’s home and jack up property values, then we would have to do it to ALL people. My 75 year young neighbor bought her house with her now deceased husband like 50 years ago. So her property taxes are probably based on a purchase price of like $30,000. On a R-3 lot, I wonder if we re-validated her home, I would venture a guess of an EASY 650k. Should we raise her property taxes from like $300 a year to $6500? I think for me, the issue I have with Kristen is that she acts like a princess, that all the lands, the water, the 5 Cities are hers to do with what she pleases. I have a problem that she puts off this vibe that she and her “battalion chief” husband are better than her constituents. In truth, they are merely public servants, and should behave with an honor and humility that would be respected by the public. While she wants the public to “eat cake”, she feasts on resources NOT hers to disperse. Jim is one of a few individuals who actually has the best interest of the majority of AG’s people in mind. This was obvious with its sewage problems and now its obvious with its potable water problems. You’d have plenty of water for reuse if the likes of Wallace and his cronies didn’t screw 5 cities, and its sewage plant and that’s a fact. Now its potable water and how anyone can justify cuts of 50% more to allow a handful of developers benefit is beyond allowable. Politicians are there to benefit the masses, not the greedy asses who could care less about you having water to drink.